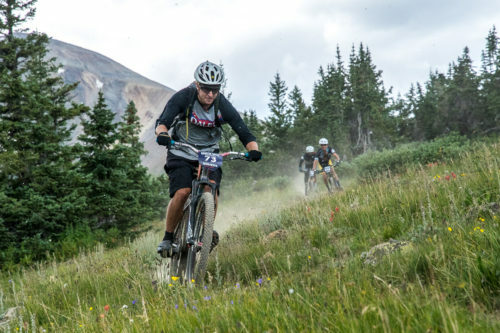 While the leaders had dry conditions for most of the day, the majority of the field dealt with driving rain on the climb and descent of Georgia Pass. Many riders dealt with flats early on, including Clif Bar teammates, Troy Wells and Ben Sontag. 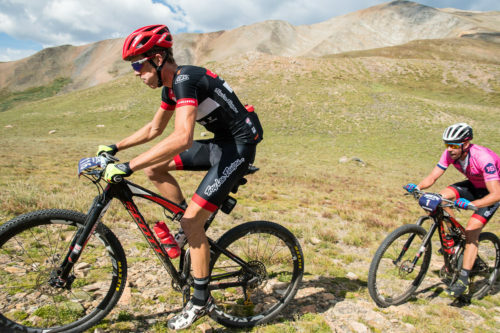 Sontag was able to repair his flat with a plug, but Troy Wells’ who suffered his flat early in the stage, got shuffled back in the field and lose a chunk of time. “You know when you’re descending and you’re at a comfortable pace? ”Asked Wells. “You’re going fast, but it’s what you feel comfortable at. I was going just over that the entire day, so I couldn’t even enjoy those descents. I was always looking forward to the climbs so I wouldn’t have to worry about crashing into a tree. You know, we have a decent lead now, but with stage race mountain bike, anything can happen. You can lose an hour. Two hours. Break a wheel and have to walk five miles. “It’s not over until the finish,” added Finsterwald. 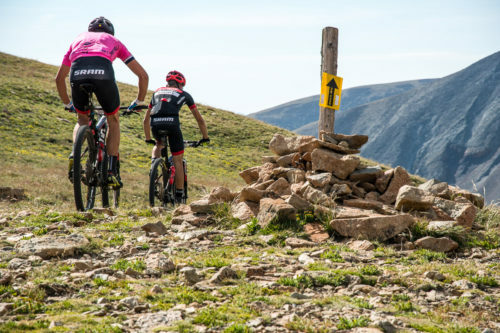 The Women’s 6-Day Open leader, Amy Krahenbuhl, added to her lead with her elevated level of technical riding on the technical descents of stage three. Ksenia Lepikhina (Tokyo Joe’s) was in second 10-minutes back, and Emma Maaranen (Rolf) was another four and half minutes back of her. “[Lepikhina] was behind me at the start of the first climb, but after that I was hanging out with boys and using that as motivation, said Krahenbuhl of Lepikhina. “Today I finally felt like my legs were strong. 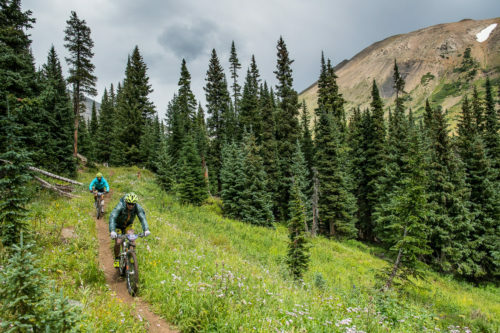 I really like the day after day cycling, so I felt like today I finally got my legs and I’m going to keep with it.” “Absolutely beautiful to go up and over the Continental Divide,” continued Krahenbuhl. “Everyone was in great spirits and having a great time. On the downhill everyone was hootin’ an’ hollarin’. 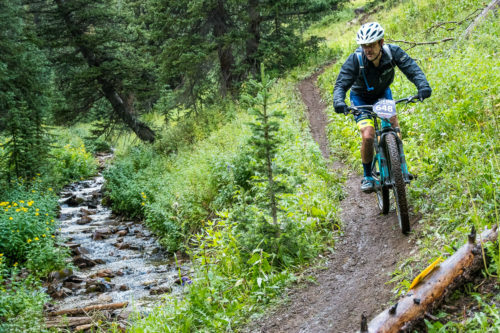 There was great energy out there.” With stage four being the longest of the week and almost 8,000 feet of climbing, there will be plenty of good times for the race leaders and those just enjoying the high-mountain singletrack, alike. 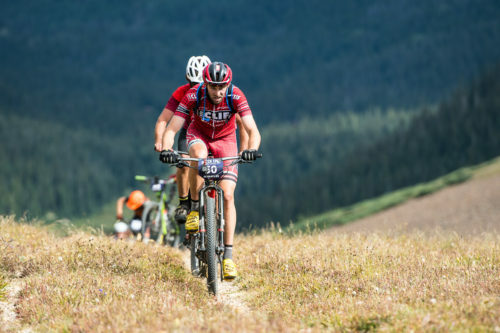 This entry was posted in MST Time Zone, News, Ultra Endurance, XC Racing and tagged Breck Epic, Breckenridge, Endurance Racing, Stage Racing, todd wells by Matthew Williams. Bookmark the permalink.